On most courses the biggest force a triathlete or cyclist will have to overcome is aerodynamic drag. We're always searching for ways to enhance the accuracy of our models and the easiest way to do this is by starting with accurate data. On most courses the biggest force a triathlete or cyclist will have to overcome is aerodynamic drag, so finding an accurate representation of an athlete's drag at varying apparent wind angles (yaw) becomes paramount for accurate models. While most athletes can achieve very good results by simply using our general gear and position selections when setting up their bike profiles, we've found that many believe that they are much more aero than they actually are. We needed a more reliable and realistic estimation of drag for our athletes. It would be great if everyone could just go to a wind tunnel. Unfortunately, most of us don't have easy access to one and at $450+ an hour it is definitely out of reach for the masses. Also, we've noticed that athletes will typically hold one position in the wind tunnel and on race day their position and drag profile can look completely different. There are a couple companies that are doing very cool drag testing on a velodrome. Some pro teams like Trek Factory Racing rely heavily on this form of drag testing. While this works very well and is cheaper than a trip to the wind tunnel, it is still limited to very few locations and it's also cost prohibitive for many athletes. With the increased availability of data and powerful mathematical modeling, new ways of determine drag are starting to become viable and available to the general athlete at a much more affordable price point. These new drag estimation areas are where we at Best Bike Split see the future of aero testing. Our first development in this space has lead to the creation of a new equation for drag estimation via bike fit and body measurement data. A bike fit was once more of an art than a science. However, Retul and a few others have begun to make it into a science with the use of precise measurement, angles and formulas, but it still comes down to an individual athlete's perceived feel. A rider may look aero in a certain position, but there really isn't a great way to quantify how aero that position is or what the real trade off is between power loss to aero time savings. Best Bike Split has taken on the challenge of creating a new bike fit based drag equation to help answer those questions and tip the scales a bit more towards science. By taking 14 different measurements we have developed a fit based drag equation that helps athletes fine tune their aero position while also providing much greater individual accuracy within Best Bike Split. There are two major components of drag. The first is frontal area (A) which is what the air sees as you propel your bike forward. The second is drag coefficient (Cd) which represents how aerodynamic your basic shape is through the air. Together, these two components form CdA, which you may have seen on wind tunnel testing charts and marketing material. The key take away here is that the lower the CdA the less drag you need to overcome. The chart below shows how much power is needed to overcome drag at speeds for various CdA values. For the chart above we assume a perfectly calm day where there is no wind. The faster you go the more it feels like there is a headwind and the more power is requires to overcome the drag you are creating. To counteract this, you reduce your frontal area and/or you can change your shape to lower your drag coefficient (i.e. look less like a cylinder and more like a bullet). Through our analysis we have found that when you start to change your shape you will naturally start to reduce your frontal area as well. In general, it's best to get low, small, and compact but there is a tradeoff to this. A recent study by the School of Sport, Exercise and Rehabilitation Sciences at the University of Birmingham UK showed that as riders started lowering their torso angle from 24 degrees to 0 degrees (when possible) their power could drop nearly 15 percent. Not to mention that the time a rider can stay in some of these extreme positions is often not possible for 40k, much less an Ironman. So what is an athlete to do? Well, that is where the art and science of a bike fit meld together. By looking at fit data, power data, and modeling scenarios with Best Bike Split an athlete can start to understand the impact of the trade-offs to make decisions and test ideas. Our work with Trek Factory Racing has shown us that some riders are able to hold very similar power numbers across many different positions. These athletes often train heavily in a TT position in order to adapt. Other riders on the team who achieve similar aerodynamic positions show a loss of up to 5 percent of power in the process. Despite this power loss, for certain courses the aerodynamic gain still outweighs the power loss. 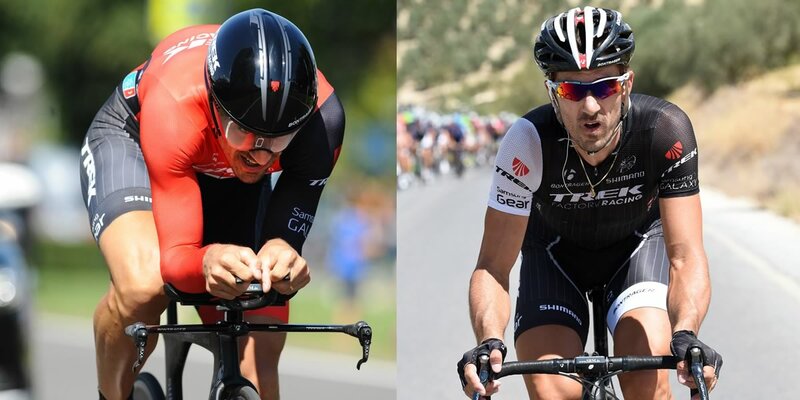 The comparison charts demonstrates that despite a 10 percent drop in in power a rider with an FTP of 250 watts is faster for a typical 40k time trial course in the more aero position by over a full minute! This of course will not be the case for every course, but by using Best Bike Split as an experimentation tool athletes can start to determine the potential aero/power trade offs for race day. Dave Schell, the TrainingPeaks Education Manager, has been tweaking his fit slowly with very minimal changes to get lower and more compact. The goal of this is to let his body adapt to the new position and minimize the power loss that may come from making too drastic a change all at once. Using his original fit numbers and data from two subsequent fit adjustments we can start to see the very real impact his fit can have at the Boulder 70.3, a course he raced last year and plans to race again this year. By just making minor tweaks to his position and no power target changes Dave should be able to gain over 4 Minutes on the course. It is also important to note that because he is going faster on the same power his estimated TSS for the race is also dropping. This should set him up for a better run off the bike at this year's race. We've developed a great equation, but we know it is not perfect. Drag can be affected by known variables that we have not yet taken into account. One of the biggest is clothing. A good skin suit versus a vest flapping in the wind can create a huge difference in drag even if the fit numbers are exactly the same. We have tried to normalize our calculations to a general proper fitting cycling/tri kit. That being said, we are continually updating our work, so as we acquire new data and reach logical conclusions we will improve and evolve. Until then, make sure you add some extra drag for races where you need a parka!